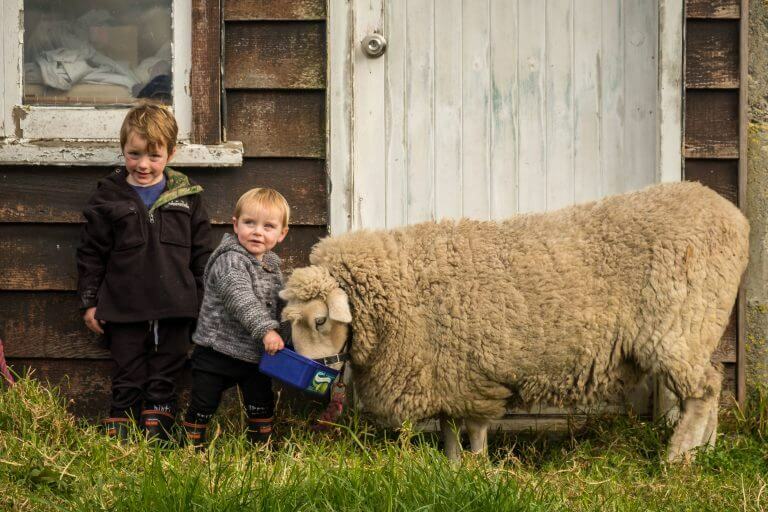 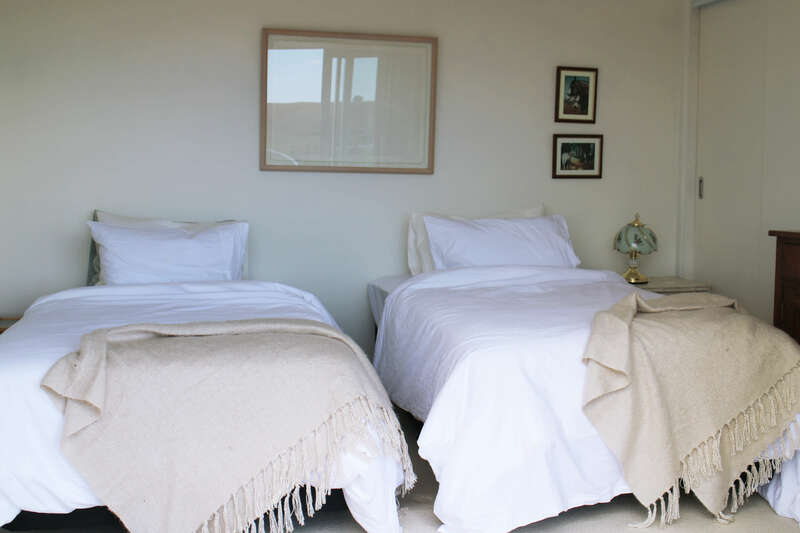 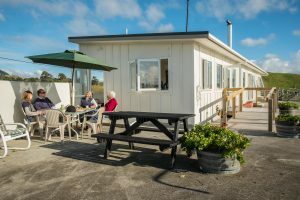 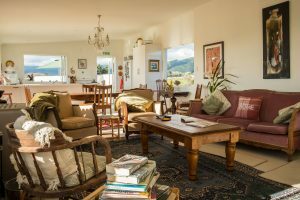 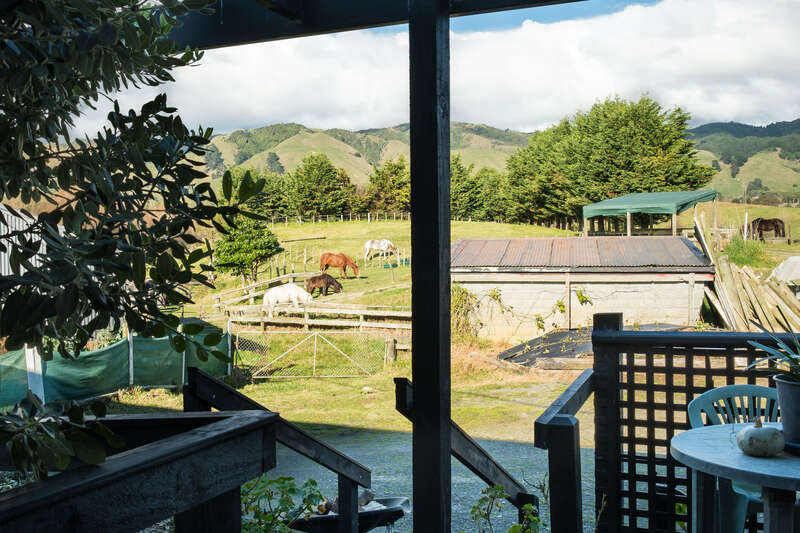 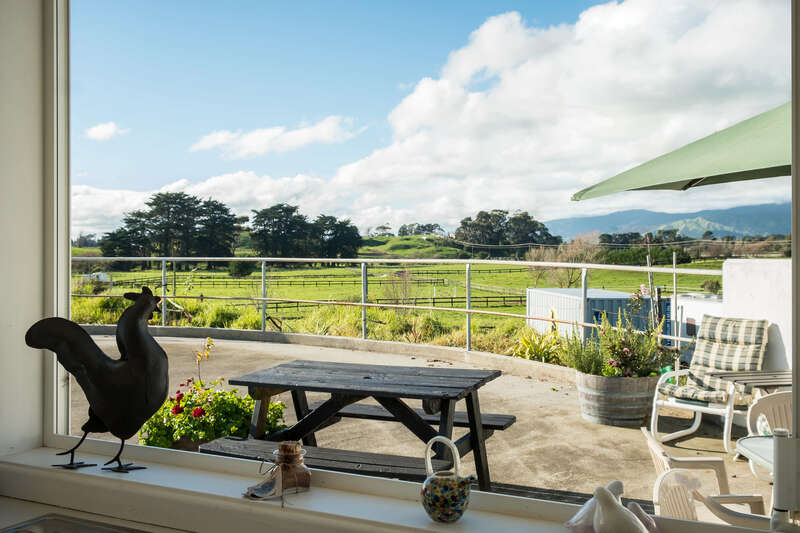 If you’re looking for a quiet country getaway for the weekend, or you just want to escape the stresses of everyday life, then Te Horo Farmstay is the ideal solution! 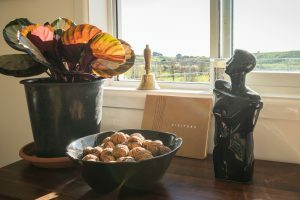 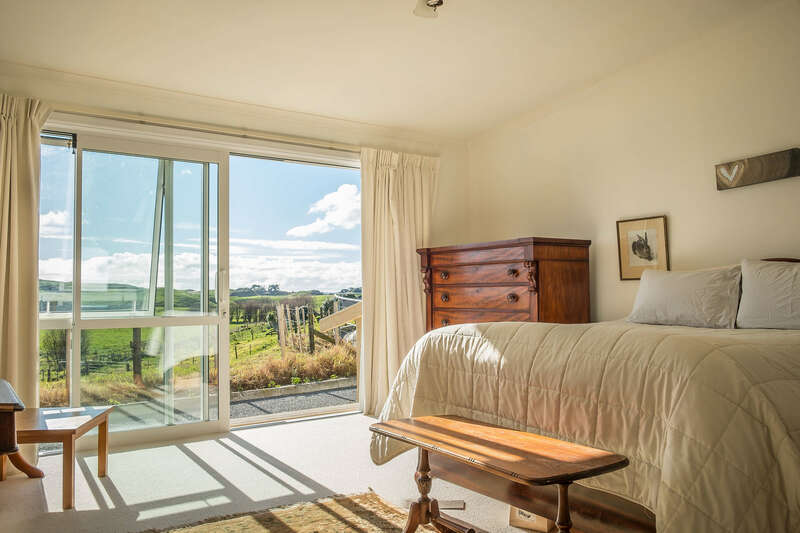 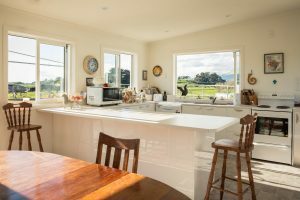 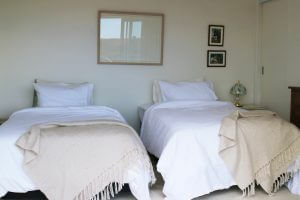 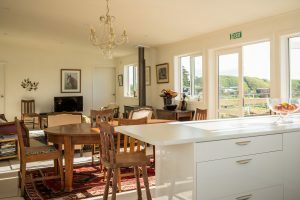 Set in farmland at the Te Horo Equestrian Centre, the two-bedroom retreat is brand new inside, having been converted from the old farm milking shed. Remnants of the building’s past remain, including a boot room and a carousel milking gate outside. 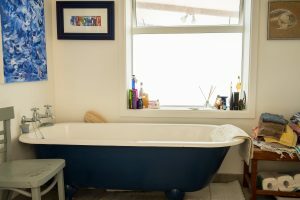 Otherwise, the decor, furnishing and fittings have been tastefully installed to create a relaxing environment for a family, a couple, or just for one if you feel like some time out on your own. 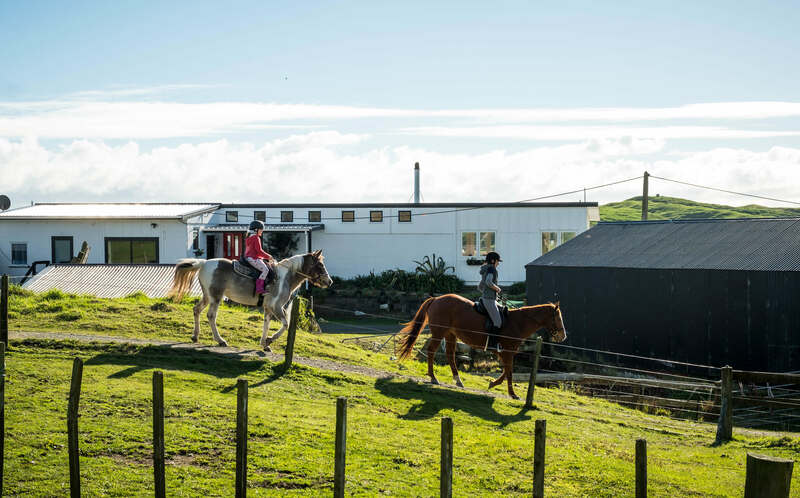 There’s a bonus if you’re a horsey person – you can bring your horses with you and they can enjoy the nearby paddocks. 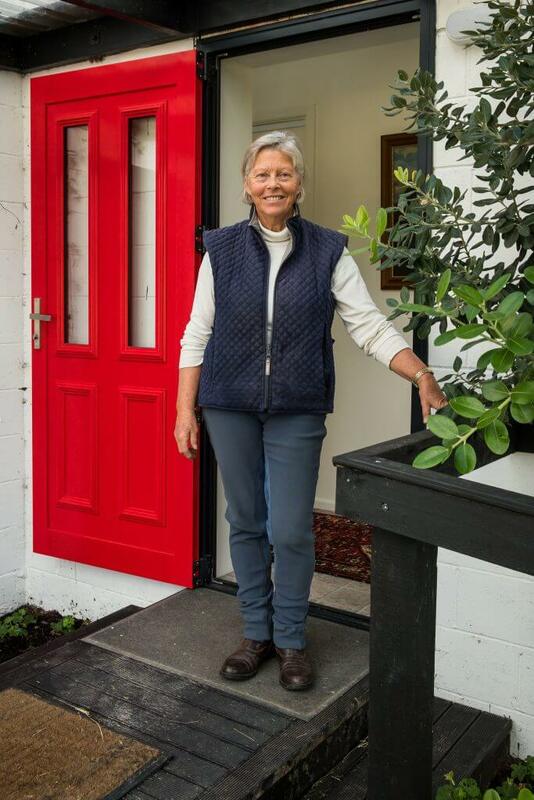 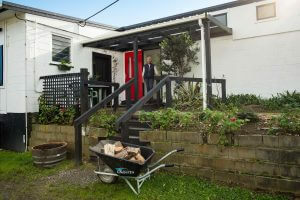 Te Horo Farmstay and Equestrian Centre owner Mandy Robinson also offers pony rides and horse treks. 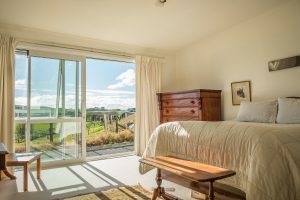 All rooms at the farmstay overlook farmland to the west and get all-day sun. 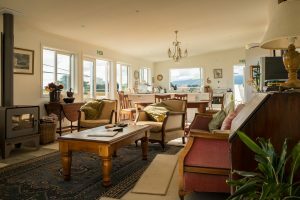 The comfortable lounge can be opened up in summer and heated by a woodburner in winter, and the kitchen is fully equipped. There’s a TV and wifi service, a dining table for six, and a courtyard surrounded by roses. 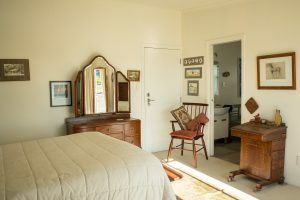 There are floor-to-ceiling sliding doors in both bedrooms, with one ensuite boasting a claw-foot bath, whilst the other is fitted with a shower that’s suitable for people with disabilities. 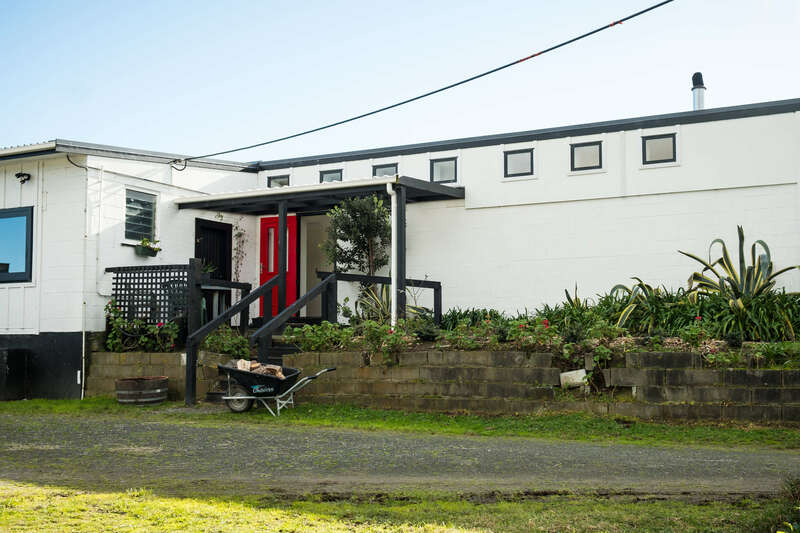 There is full disabled access and you can drive your car along the concrete cow race to the wheelchair ramp at the front door. We look forward to welcoming you to the Milking Shed, your home away from home.